“If you look back in our history, there have been so many people, who, you know, who wanted to be president. Who devoted so much of their time, effort, and resources to getting that post. But I think it’s destiny, and I think it’s something you cannot plan,” Robredo said during a forum of the Rotary Club West in Makati on Friday. 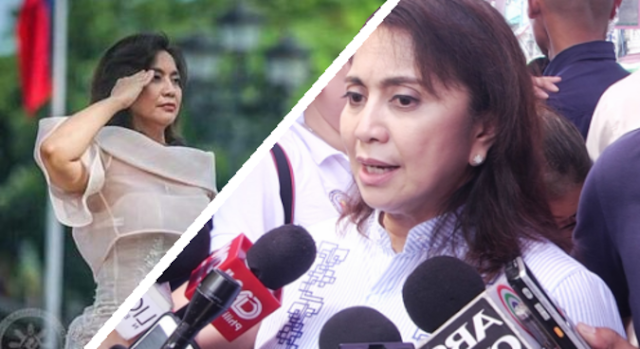 Robredo said, however, that such an ambition would likely “affect the way [she serves] the people,” and may taint the impression about her intention to do public service. “You know, if I’m looking at the presidency already in 2022…I would go to the poor part of Metro Manila, where the population density is really high. But it’s not… it will be politically feasible for somebody who is aiming for the presidency to be going to these faraway places. So I think political ambition will mar how… the way I serve the people,” she said. The Vice President was candid about her “accidental” appointment in the field of politics, which primarily stemmed from the death of her husband former Interior secretary Jesse Robredo. “And looking back also, you know that I became a politician by accident. If it were not for the sudden death of my husband, I would not have run for Congress. And when I ran for Congress, the agreement was I would only be there for a term because I was filling in a gap,” she said. Supporters and Liberal Party (LP) members previously urged Robredo to run for representative of the 3rd District of Camarines Sur “to preserve her husband’s legacy” in the province despite her initial disinterest with the post. “And then I was pushed for the Vice Presidency, with no money, almost nobody knew me in the start—but I won. I think that is also destiny. I never… It was never in my ambition, not just to become Vice President, but to enter politics, and yet I’m here,” Robredo said. Robredo, chairman of LP-led “Oposisyon Koalisyon”, has been endorsing an eight-man slate formed by a mix of neophyte and political figures running for the Senate in the 2019 elections. She said that the coalition candidates would likely win, recalling her climb to victory in the 2016 elections as a vice presidential bet. Robredo’s former running mate, ex-Interior secretary Manuel “Mar” Roxas 2nd is part of the opposition slate and was the LP’s presidential candidate in 2016. He, however, lost to then Davao City mayor Rodrigo Duterte by over 6.6 million votes.